The fourth-generation Honda CR-V has made its debut – the SUV was unveiled at the Los Angeles Auto Show, and will begin selling in the US on December 15. 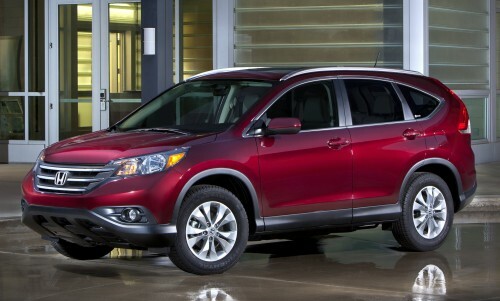 The CR-V remains a five-seater, but Honda says the debutant introduces an upscale styling direction, improved interior comfort, a smoother and quieter ride, greater fuel efficiency and added features and functionality over the outgoing model. Leading the changes are a more efficient engine design with improved horsepower and torque, along with an all-new Real Time All-Wheel-Drive (AWD) with Intelligent Control System. 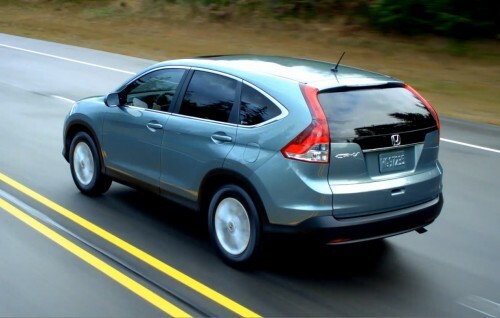 All the North American CR-V variants are powered by a 2.4 litre i-VTEC four-cylinder engine offering 185 hp and 221 Nm of torque, paired with a five-speed automatic transmission. A new feature called Eco Assist indicates to the driver when the vehicle is being operated in an efficient style via “green” visual cues surrounding the speedometer, and a selectable ECON Mode alters operating characteristics of the vehicle to support an efficient driving style. Inside, the interior features a roomy new centre console and an overall lower cargo floor height for easy loading and unloading, among others. 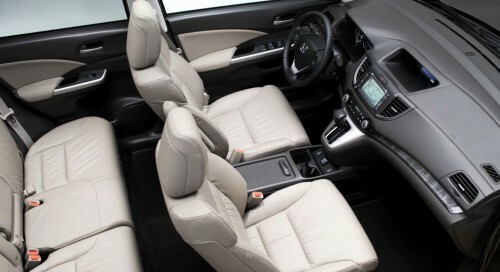 New to the vehicle is an Easy Fold-Down 60/40 Split Rear Seat, which offers easier access to utilising the cargo area – each side of the rear seat can fold nearly flat into the front of the cargo area using one of the release levers located near the tailgate, or a pull-strap positioned on the seat side. Tech features include a Bluetooth HandsFreeLink phone interface, a full-colour intelligent Multi-Information Display (i-MID) and a multi-angle rearview camera with guidelines. As a first for Honda, the fourth-gen CR-V includes an SMS text messaging function, which can read received texts from compatible cell phones aloud over the audio system. Another first is the introduction of a Pandora Internet Radio interface3, which works with the vehicle’s audio controls and i-MID. Safety equipment includes VSA, ABS as well as front-side airbags with a passenger-side Occupant Position Detection System (OPDS) and side-curtain airbags. For North America, depending on the model (there’s the LX, EX and top-of-the-line EX-L), available kit ranges from a 160 watt, four-speaker audio system to power moonroof and 17-inch alloy wheels to a leather-trimmed interior, automatic dual-zone climate control and a 328 watt seven-speaker audio system.